Entries tagged with “Modern Composition”. 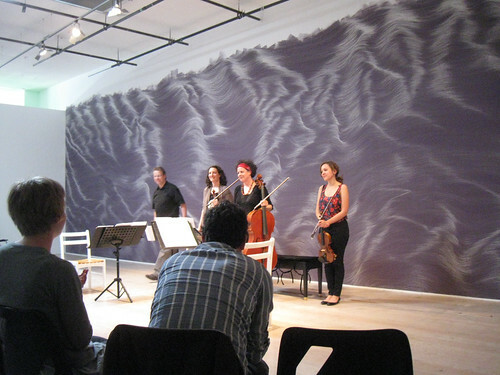 The second day of the Wandelweiser + Bozzini concerts was once again at Open Space in Victoria B.C. My report on the first day of concerts can be read here: Wandelweiser + Bozzini in Victoria, day 1 and my introduction to these concerts here: Wandelweiser in Victoria. Day 2 was another beautiful sunny day in Victoria which made for very pleasant concert environment with the sounds of the harbor – including some seriously baritone ship horns – and the pleasantly warm sunlight. The afternoon concert featured two composers that I was completely unfamiliar with Thomas Stiegler from Germany and Daniel Brandes from right here in Victoria B.C.. Daniel, whom I talked to briefly before this concert (and also on Twitter) I would describe as a second generation Wandelweiser composer; a student of Antonie Beuger he definitely seems to be in that lineage. Of course this being the only piece of his I’ve heard can’t expound on his body of work, but from what I heard here I think that to be the case. Thomas Stieger, though his bio is rather brief on the Wandelweiser site, would seem to be an early member of the collective. He’s trained and works as a physician but his CV lists him winning a composition prize in 1997, not too long after the founding of Wandeweiser. It was nice to have an introduction to two new composers especially in a live context which seems to be the best way to experience this music. Wandelweiser + Bozzini at Open Space, Victoria B.C. Concert #3 Sunday, June 9, 2013, 2:30 p.m. 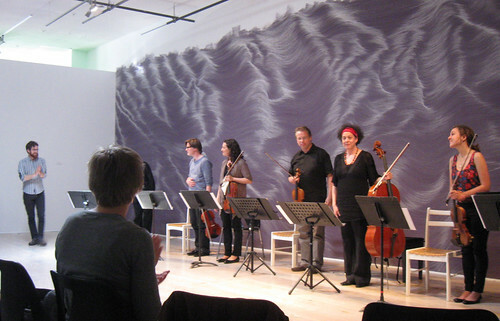 This piece was for the largest ensemble of the series and included the entire Bozzini Quartet along with Stiegler, Beuger and Frey and for his only performance of the weekend Stefan Maier playing electric guitar. Maier played his guitar with eBow generating long, sustained low tones. Likewise for the other instruments, with long drawn out, barely affected tones. There was also a set of text fragments, which were included in the series program, that were read out by the performers. The vocal performances were akin to that of the Beuger piece from yesterday, all murmured and hummed and rather self-consciously performed. Considering that Brandes was a student of Beuger this seems a pretty direct influence here. It also makes me wonder how deliberate that vocal performance style is. As I noted in my thoughts on the Beuger piece I’m not very taken by this type of vocal performances and this held for this piece. Otherwise I found the long, shifting instrumental lines rather pleasant and I found the piece quite accommodating to the sounds of seagulls and several conversations from the mezzanine down below. Especially at the times when the piece was purely instrumental – which as I assume the material of the piece was gone through at the performers desecration was arbitrary – did it seem to almost provide a background “wash” for the compelling exterior sounds. • The second piece made me think of Lachenman with it’s scratchy extended techniques and rather staccato style. Again a short piece only a few minutes. • Quartet long, vibrato-less drones that went on for a long time and unraveled at the end with rapid dry bowing and then an abrupt simultaneous end. • Frey, Stiegler, Beuger – each reading fragments of words and such in German. Frey seemed to be almost just reading syllables and Beuger repeated single words and in the middle Stiegler The speakers were then joined by the titular 3 radios toward the end, which were playing randomly tuned Victoria stations – mostly pop music. The speakers kept it up in the same fashion they had been reading, though a bit haggard at this point. I have to admit I wasn’t taken by the short pieces, or by the text piece. I did enjoy the longer string quartet quite a bit. It was rather drone-y with a single note played by the players in an unaffected style. This continued for a long time varied only by subtly beating tones until the last minute or so where they shifted to these rapid shorter attacks and it had the feeling of coming apart at the seems and then suddenly ending. Really interesting piece and one the fit into the space really well. Concert #4 Sunday, June 9, 2013, 8:00 p.m.
A primarily soft, gentle piece that structurally seemed rather call and response, that is they seemed to play in reaction to each other. 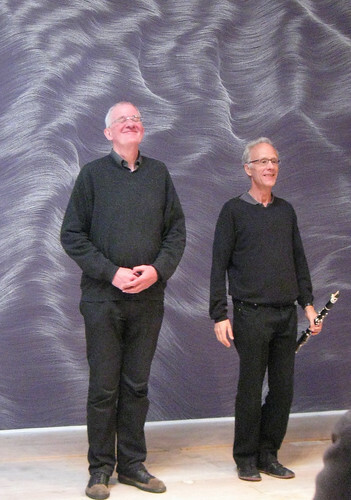 In this it seemed like some Christian Wolff pieces I’m familiar with where the instructions are that your options are informed by what you are hearing from your partners in the performance. The sounds were mostly rather short tones with the occasional scales and a small amount of extended technique – tongue clicks and over-breathing and the like. There was one or two slightly loud bits, that is to say louder than the overall softness, that seemed to be in reaction to something the other had done. There’d be something from say Jürg and you’d see a slightly quizzical expression from Antoine which he’d respond with something that would slip into slightly louder territory. Really engaging and charming piece. After the concerts I took a peek at the score and it did seem to have the elements of interaction that I sensed there. I took a (bad) cameraphone picture of it which if you squint hard enough you might be able to make out some of. But the instructions are that the performers alternate sounds, they should be uniformly soft and the that alternated sounds should constitute a phrase. I like the instruction that between the phrases there should be “some silence to allowing the previous phrase to resonate in memory“. The final piece of the concert series was a string quartet from Jürg Frey. Now I should note that in my initial introduction to the Wandelweiser Ensemble one of the recordings I listened to was Frey’s String Quartet Disc on Edition Wandelweiser Records and I didn’t care for it at all. While I have gotten into the works of many other Wandelweiser composers (Pisaro and Beuger especially) I’d really not delved much further into Frey’s works. In this concert series it was his pieces that I enjoyed the most (along with the Pisaro) and was the most revelatory to me. So I was quite interested to hear this String Quartet – would it be how I recalled his earlier ones, or more in line with the piece of his I’d heard the day before? The piece was rather Feldman-like sharing his penchant for beginning and ending abruptly, utilizing lots of unison playing and was of course overall soft but not extremely so. I found this to be a nice piece and found it to be another highlight of the weekend. 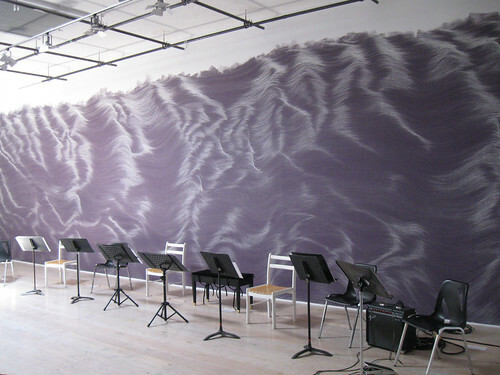 While not as long as a late Feldman piece – it was around 30 minutes perhaps – it did have several different sections to it. Along with the aforementioned unison play there was some solo violin from Clemens Merkel and some very dry rustling playing from the whole group. There were some sections that had a melancholy melodic feel, reminding me a bit of Mihaly Vig’s Werckmeister Harmonies score. I felt it was of a nice length, deliberately paced throughout with no real dramatic moments. I wouldn’t have complained if it had been a longer even. And that was that. Another weekend of music done and as with all concert series it had pieces I enjoyed more than others. But it is always welcome to get to hear new pieces from new composers especially in a live situation. Nothing I felt was horrible or hard to sit through or anything like that – some things were just more to my taste than others. With the nature of the entire series even for pieces that didn’t grab me it was was pleasant in context to the surroundings and environmental sounds. It was a lovely weekend in Victoria and it was great to be introduced to Open Space, which I am sure I will be attending concerts at again. 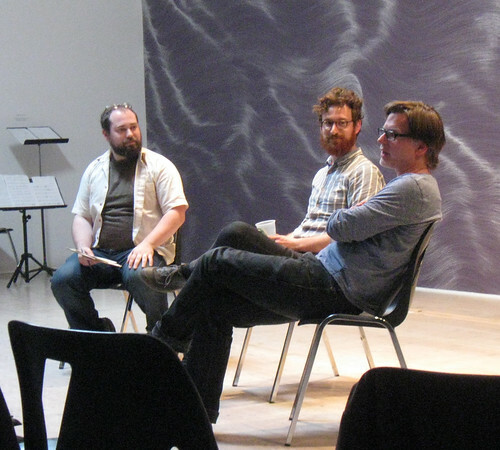 There was again a Q&A following the afternoon concert this time with Daniel Brandes and Thomas Stiegler again hosted by Christopher Reiche of Open Space. It was again mostly questions from the audience with a few from Reiche. I had a harder time transcribing this one but I’ll again paste in what I was able to jot down again with a few corrections, clarifications and not much commentary. Stiegler – Talked about the text, but I missed most of it. From artists with disabilities. Stiegler – First couple pieces short and commissions, The quartet was written fast about a woman who died at 40. Put together with other short pieces. Brandes – His piece not of fixed duration includes the instruction ‘duration: ends somehow’ he works with Beuger and he also had a piece with that direction. This Music is supposed to be immersive and a duration would impose he felt. Clemens Merkel (Bozzini violinist) – mentioned they just recently replaced two short pieces with the long Stiegler quartet which begins with sustained Es.
? a subversive performer could refuse to let the peice end, would at not be in the spirit of the music?
? why do you choose the specific material? Stiegler – A piece without pitches (the long quartet IIRC) this was inspired by seeing a similar piece at a festival. It’s music playing or listening teaches us something if you are sensitive to the situation, about gentleness, caring and such. Open Space is pretty much right in the thick of a prime tourist zone Victoria, British Columbia and is a rectangular, bright, acoustically sound space. Really perfect venue for this kind of music in that some sounds drifted in from outside, but it wasn’t all just traffic. A skylight above the performance area let in natural light and the occasional pop’s and groans as it expanded in the sun. 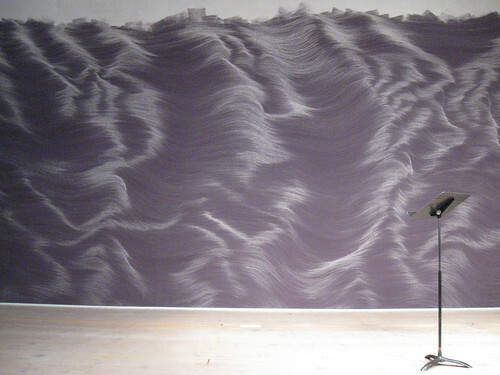 Most striking was Wendy Hough‘s Wall Drawing, which stretched across the entire back wall forming a hypnotic backdrop. A semi-cicle of chairs in two long rows was setup for the afternoon concerts and a third row added dynamically as the evening shows filled up. A really good crowd I though and the Open Space music director told me that they averaged around 25 people for most of their new music events. Pretty impressive – when I saw fellow Wandelweiser composer Micheal Pisaro in Seattle, at a venue that is basically the Seattle’s equivalent to Open Space there was only a handful of people in attendance. The concert series was over two days with an afternoon concert, followed by a Q&A, then an evening concert. If you attended all four concerts, as I did, you were able to hear 12 pieces from 6 different composers. I’ve listened to various Wandelweiser composers for maybe 5-6 years now and just like everything certain things appeals to me more than others. There is also a lot of material from this collective which has been active for more than 15 years now and I’ve hardly heard it all. So for me when discussing composed pieces the historical context, both of the composers own compositional history as well as the lineage in which they are situated is really key. Since I feel that I can only provide limited insight in that vein here I am going to mostly try to sketch out the overall nature of the pieces. I should also add that I don’t feel that a blow-by-blow description of this kind of music is that useful. In the main without actually analyzing the piece I feel that is of limited utility and can actually be misleading. Likewise focusing too much on the environment I think can just be a laundry list and also push understanding of the piece to specifics that undermine the intention. That is to say that these pieces in general are accepting of these sounds, but not reliant on the specifics that you heard. This may seem like I’m leaving little to write about but really I’ll talk about all of these aspects, but just in passing without trying to claim any sort of notion of completeness. Concert #1 Saturday, June 8, 2013, 2:30 p.m. The piece was all held tones with occasional ascending and descending runs. There was beating tones at times between the flute and clarinet that reminded me a bit of The International Nothing. But with the different tonality of the flute and clarinet as opposed to two clarinets this was richer and more engaging in my opinion. The piece was really nicely paced; not overly spacious but not hurried or at all busy. Overall it was very pretty and it’s softness welcomed the sound of seagulls, the occasional passing pedestrian and motor vehicle. A telephone rang twice in the Open Space office and at the end in the concert venue itself. I’m pretty sure these were unintentional (they occurred the next day) but I thought fitted in nicely with what could be thought of as an overly pretty piece. While that obviously wouldn’t happen at every performance, the equivalent certainly could. This was maybe my favorite piece of the series. 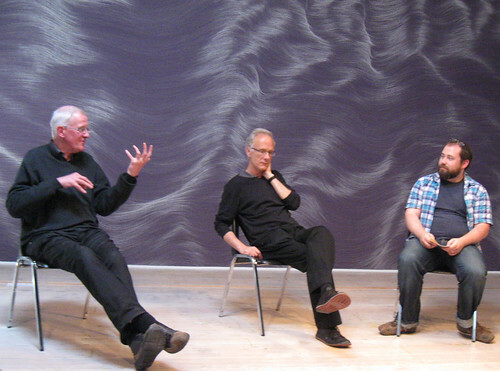 The piece began with Beuger introducing the piece as being based on text fragments from five philosophers. He then read text fragments that the piece utilizes. One immediately makes note that the quintet includes a muscian as representative for each philosopher. Following the reading each performer then clearly worked though a set of material at their own discretion and with each ending at different times. They mumbled and chant/sang bits of the text which were all in French. This seemed very self conscious to me but I should note is not really generally too my taste. It is certainly in the lineage of all of John Cage’s text pieces which frankly I’m pretty mixed on, but can get into a times. So I don’t write off this entire area but I feel that you have to be completely committed: no one would deny that Cage threw himself wholeheartedly into his text performances. Apart from the text readings the played pitches were nice, mixing a variety of traditional tonal playing along with faint, dusty scraping of strings at times. Each performer stopped after they worked through their material and the performance concluded with just Frey on the clarinet. Concert #2 Saturday, June 8, 2013, 8:00 p.m. The field recordings seemed to be of a bus stop with cars, birds, various voices and the busses pulling in (un)loading and pulling out. The recording was rather loud and included within it various synthetic tones and sine waves. The strings mostly played very quiet long dry strokes. The flute and clarinet petty much blended right in with the field recording but also was long held soft ntes. 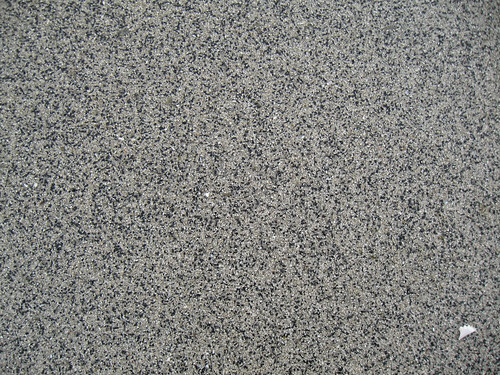 the peice is interacting tones and incidental sounds. I really enjoyed this piece, especially the balance between the field recording, additional natural sounds from outside the venue, the pre-recorded sounds seamlessly blending in and then the nearly inaudible classical instrumentation. This is clearly in the same family as asleep, street, pipes, tones the recording of which was put out on the Gravity Wave label. In the linked blog post he describes how he put together the recording used for that piece from snippets of pipe organ, vocal pieces, sine waves and field recordings. While we don’t have the specifics for this piece it clearly is in the same style but in my opinion the live performance aspect works better. I especially appreciated the bowed strings here but I also think that the higher tones of the clarinet and flute also worked really well. This piece was right up there among my favorites from this series and was happy this was part of the repertoire as Pisaro was the only Wandelweiser composer not present from whom a work was performed. This was a more standard new music peice for string quartet and clarinet from a Canadian composer not associated with the Wandelweiser collective. The art supporting agencies always require works from Canadians to get grants and this piece I presume was at least present for that reason. That being said it was okay if nothing very remarkable. It was mostly muted strings, playing mostly long tones rather dry, without vibrato. It was all very upper register in the strings and the clarinet also was rather high and quiet. The cello often played percussively by bouncing the bow on the strings. The piece was constructed from several rather disparate, movements giving it a rather episodic feel. They reorganized the performers and their setup for the different combinations: one movement was violin and cello only and IIRC at least one was the quintet and then various trios. There was a Q&A with Jürg Frey and Antoine Beuger following the afternoon concert hosted Christopher Reiche of Open Space. It was mostly questions from the audience with a few from Reiche. I sort of transcribed this the best I could so I thought I’d just paste that here at the end of this post with a few corrections, clarifications but not much commentary.
? how did you all meet?
? Political importance; music displays passivity yet is confident. Frey – my music doesn’t work when it’s loud, doesn’t make sense. When I want it to be loud I composer explicitly for trumpets and trombones because they are naturally loud. When it’s quiet the sound is primary, the musician doesn’t have to push it. When I want a loud piece I use brass or a whole orchestra. It’s not pushing it to be loud; it just is loud. Beuger – (specifically, addressing the political part of the question) Music always has an inherent political meaning, about how we deal with each other. In a piece of music you are dealing with each other in a specific way. I hope musical situations can include a promise, about how the world could be, if we would deal with each with a lot of care and attention as per the peice they played. Frey – why should I shout through the notes when I can speak? I try to deal with them in similar way as I’d try to deal with my friends. Try to find out what the notes want to do. If they are in balance (with himself) no need to shout.
? Do you compose in real time? Frey- These two pieces have no fixed duration. You have to have security with the situation. It can take a long time.
? w/r/t performer choice. Christopher Reiche relayed a bit of advice a teach had given him: Imagine the worst possible interpretation of a piece and if you are okay with that than your notation is okay. Beuger – This is a bad piece of advice. As composers we have to understained that we are not making the music it is the musicians who do. At its best it is a collaboration. My job is to have a relation of trust with those who play my music. I try to create a situation in which the musicians can feel comfortable. It is an ethical problem. If the players can feel at ease and be attentive to what they are doing and pay attention to each other then I’ve done my job, that is the quality in the composition. There has been more and more mistrust of the last 200 years between musician and composer. That is not what notation is or should be about. Frey – What is the worst? What is possible for a piece? (he then relayed a story about Andrew Lee playing his piano pieces which he didn’t like at first. The realized at Lee played it as it was written and didn’t insert himself into it, which Frey assumes and generally prefers).
? what constitutes a good or accurate performance? What has to be there? Beuger – no such thing as an accurate performance with my scores. I just sit and listen and the music either pleases me or not. It’s hard to say if ere is a good or bad performance. That is what we are writing music for, for the performance.
? So you think of yourself as more of a catalyst? Beuger – Music is a practice, part of a culture a way of doing things. Celebrating life. Think of it like going to a Blues Pub – you go for being in that experience. What we are doing is similar. So I am heading up north to Victoria B.C. in Canada to catch a two day concert series of Wandelweiser compositions. 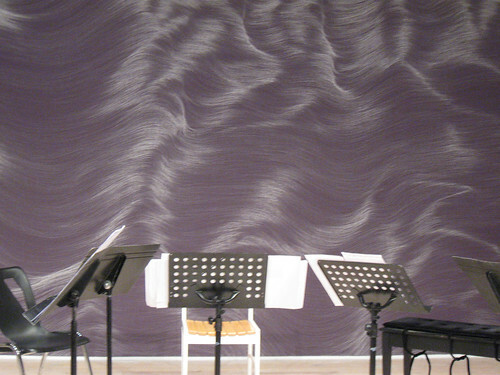 The Wandelweiser Komponisten Ensemble (Jürg Frey, Thomas Stiegler, Antoine Beuger, Daniel Brandes) will be performing several pieces as will be Quatuor Bozzini (Clemens Merkel, Stéphanie Bozzini, Isabelle Bozzini, Mira Benjamin). Should be a good time and I always love visiting Victoria. If any readers of the blog are going to likewise be in attendance (and I certainly encourage any in the region to make the attempt) do say “hi”. I’ll put in the full details on the concert, venue and the like from the event webpage below. Last night I saw the Kronos Quartet perform at the Kirkland Performance Center in my hometown. I can’t really stress how important to my musical development the Kronos Quartet have been nor how far I’ve really moved away from what they do. I’ve always listened to classical music; in elementary school I used to scour the Anacortes Public library for their classical music LPs and when I “graduated” from elementary school among the list of predictions from my fellow classmates was “classical music snob”. While I did of course eventually add rock and then jazz to my listening I always maintained an interest in classical music and I’d argue my love for long form symphonic works informed what I liked in those other musics. I mostly listened to the canonical composers with only the “radio friendly” 20th century composers (Shostokovich, Stravinsky, Sibelius, etc) making an appearance. In college I gradually became interested in modern composition the most important event in this was a friend lending me a CD of string quartets by Lutoslawski, Cage, Pendericki and Mayuzumi. I think he lent me this as it was the only Cage he had which I was becoming interested in, but while I liked all of the quartets it was the Lutoslawski that really grabbed me at that point. Wanting my own copy of this piece I took my meager college budget to Rainy Day Records and scoured their meager classical section. They didn’t have a lot of 20th century composition but they did have a number of discs by the Kronos Quartet include an EP of them playing the Lutoslawski. I picked this up and the rest, as they say, was history. So much music that became very important to me was introduced to me by picking up various Kronos discs: Terry Riley, Steve Reich, Philip Glass, John Zorn, Tan Dun, John Lurie, George Crumb, Arvo Part Henry Cowell, Harry Partch, John Oswald, Henryk Gorecki, Elliot Sharp as well as those I knew but being just a kid had few recordings of like Anton Webern, Alban Berg, Demitri Shostokovich and Thomas Tallis. Of course many of these composers I’d prefer versions by other ensembles and most of them I’ve more or less since moved on, but they all led me to where I am now. Of course no other discovery brought to me by the Kronos Quartet was more important to my current listening then their recording of Morton Feldman’s Piano and String Quartet. At the time I was buying their releases as they’d show up and I must have bought this one pretty much as it was released in 1993 (my prime period of Kronos collecting was 1992-1997). I recall finding this one immediately beautiful and hypnotic, it fit in with the ambient music I was also exploring at this time. But the low volume of the recording was always a bit of a hindrance for me, I felt it wasn’t as well recorded as some of their other pieces. It got shelved for a while but would be returned to as my interest in the experimental composers arose a few years later. Morton Feldman and the Kronos Quartet have a quite interesting history, something worth thinking about for those who tend to dismiss the ensemble. Feldman worked directly with them and scored his epic String Quartet (II) for them though they “only” ever performed a 5 hour version of the piece. These days the Ives Ensemble and the Flux Quartet have performed the entire piece in its 6 hour glory. I recently came across a recording off the radio of Feldman’s first String Quartet performed by the Kronos Quartet that I’ve found to be extremely informative. It is the third recording of the piece I’ve gotten and by far the longest, clocking in at 20 minutes longer the version of it I have by the Ives Ensemble. But most interesting is difference in the sound of the violins. Feldman specifies a lack of vibrato and his strings often sound dry and grating with the occasional changes in this for effect. Kronos does this as well but there is a resonance to their playing that the Ives players don’t quite seem to use. Perhaps it is a very light vibrato or other bowing technique that is like the string equivalent of half depressed sustain pedal that Cardew felt was the key to Feldman’s piano works. After getting this recording and listening to it on my high end stereo I revisited the Piano and String Quartet which I had not played since getting a copy of the Ives take. Played on this stereo, where its low dynamic range wasn’t nearly an issue, it revealed the same thing as that String Quartet recording, a level of dynamic to the play, that while very subtle and soft really brings out a lot more in the music. Very soon I’ll have a fourth version of this piece with my favorite interpreter, John Tilbury, on the keys and if the Smith Quartet is as good as Kronos on the strings that should be the definitive version of this piece. While Feldman is the most important composer that Kronos led me too, it is hard to deny the importance of Terry Riley and John Zorn for years of my life. Riley led me to other minimalists and the whole modern ecstatic drone, freak folk and the like which was a big part of my listening from the late ninety’s to about the mid aughts. I’m still on the Aquarius Mailing list from that period as they were best purveyors of such material. John Zorn led me to so much music, though in all honesty I never actually bought a ton of his music. First the ex-pat Downtowners, Wayne Horvitz and Bill Frisell, both now living in Seattle who introduced me to the post-downtown scene that was thriving here from say 1996-2006. This was my primary interest in music for years and I can’t even begin to say how many concerts I saw in Seattle of this ever widening sphere of music. Somehow it got wired into the Jam Band scene and became completely uninteresting, but there was a period where I thought it was some of the most creative music I’d seen. Most importantly though I got onto the Zorn Email list in its prime and from there I got introduced the most modern of improvised music that really captured my interest for all of the aughts. From there I spiraled back to the experimental composers, found other modern composers such as Lachenmann, Nono, Xenakis, Scelsi et al and that brings me about to where I am now. Obviously a highly compressed history there but trying to sort of stay on topic here. I first saw Kronos Quartet perform in Meany Hall at the University of Washington in maybe 2000? I saw them again there a couple of years later, premiering Terry Riley’s Sun Rings so it must have been 2000-2001. By this point I had mostly lost interest in them, they had moved away from the music that interested me. They became increasingly interested in various world composers and while I think there is much great music to be found exploring the dusty corners of the world I just haven’t been all that taken with the compositions they’d commissioned. Additionally I was tending toward preferring other ensembles for many of my favorite pieces of theirs. But finally being gainfully employed and living in the Seattle area I couldn’t miss the chance to see an old favorite. I remember quite liking that show though I can’t find a record of it online and don’t recall what they played. I was pretty into Riley and Zorn at that point and the odds are they played some of both. It was definitely my interest in Riley that brought me to see Sun Rings which had interesting moments but made me realize that I really like early Riley and just wasn’t that taken by his current output. Since that show (2003) the only Kronos I’ve paid any attention to was their soundtrack for Requiem for a Dream which I quite liked and Fountain which I liked a bit less. I pretty much had stopped paying attention to them and was thus surprised to see them working with Trimpin in that great documentary I saw last year. I would definitely have gone to see that performance. At some point last year I discovered that the Kronos Quartet were going to play at the Kirkland Performance Center which I should say is about a mile from where I live. I’ve lived in Kirkland for three years now and within five miles of it for the last decade and have never visited the Performance Center. Mainly its because they tend to cater to that older demographic with the safe material that it seems to demand. An opportunity to finally visit the center seeing a group that used to love and figure would still be at least enjoyable was not one to pass up. I almost forgot about it though, but luckily Christopher DeLaurenti wrote it up in his The Score column in the Stranger reminding me just in time. I bought tickets online which I was able to just print out and leaving work slightly early (7:30 show? – just try to tell me they aren’t catering to an older demographic) I went home and then walked to the venue. The Kirkland performance center has a 400 seat auditorium and I have to say it is very nice. The acoustics were great, the seating had a steep rise off the stage providing great sight lines from my back of the hall seating (the online chart was confusing, I thought I was buying a front row seat, turned out to be the back row. Worked out okay though, it sounded fantastic there). There was some brief announcements and a bit of history of the group (started in Seattle BTW) and the show began. Honestly I don’t really want to write all that much about the music. None of it really appealed to me, it is pretty much exactly as I said above. This program was “Tailor Made” for the Kirkland Performance center and I don’t know if was targeting this demographic or if its just how they are but the program was pretty toothless. There was a lot (a lot) of pieces with tape accompaniment, Harp and Altar, and …hold me, neighbor, in this storm… from the first set and Cafe Tacuba from the second and this almost always were in such a way as to extend the ensemble as opposed to how historical tape accompaniment is used. In Harp and Altar there was vocalizations throughout which initially almost sounded like string effects and blended nicely but then became really pronounced and chopped and just sounded like bad pretentious pop. For …hold me, neighbor, in this storm… there was field recording type of material but also Muslim-ish singing and other vocal aspects. The Riley piece, from his epic Salome Dances for Peace, is one of those later Riley pieces I’m not so taken with. It was like Americana with repeated motifs so Minimalist Americana. It was one of the better pieces all told, but pretty bland. The first piece Aheym (homeward) was probably my favorite from this set. It had a very propulsive sound all of the strings playing in unison. After some time of this various instruments would break off and add various contrasting sounds. It was somewhat cinematic with distinct episodes but it was pretty engaging throughout. There was a short break in which I took the opportunity to check out the rest of the performance center. It doesn’t have much of a lobby and it was pretty packed with people getting away from their seats for a bit. There wasn’t much to do so I fairly quickly returned to my seat. The break wasn’t too long and then the second set began. The Zorn piece it opened with, God help me, was probably the most interesting that they played sonically. Zorn used a lot of extended techniques, especially those favored by Lachenmann. So scritchy bowing brunched against the strings, bowing the back of the instrument, whipping the bows in the air and so on. It was typical Zorn though, with lots of short quick segments, short little quotations and a cartooney feel. Zorns compositions rarely do much for me and it was the sounds that I enjoyed the most here. Oddly the piece was played for laughs and as the ensemble would dramatically turn the page of the score after a minute of intense noise making the audience laughed everytime. It ended with whipping the bows in the air, generating clouds of resin which slayed the audience. The following piece, Escalay, was another rather cinematic piece with a pretty droney characteristic. I honestly don’t remember much about it beyond that but it was okay if unmemorable. Smyrneiko Minore is an old Greek song that Harrington had encountered on an old recording. So musically it was pretty straightforward Greek folk music with the violins alternating on playing the vocal parts. Short and to me not that interesting. The last piece was made for Kronos by Café Tacuba a Mexican band that plays Latin Dancey pop music and it more or less had a tape of a full band playing, plus some field recording type of material that they played with. Pretty lame overall, but not my kind of music in general. They played two encores, one a Swedish song that I’m just guessing on the spelling, that was simple and melancholy and an Egyptian Tango that was, well an Egyptian tango arranged for string quartet. After this there was a short Q&A with questions from the audience. Not much of interest was asked though. This led to several questions about compositions written especially for them and John told us that they rarely get unsolicited compositions mainly because they are very picky on what they choose to play. He then brought up that when playing festivals the programmers really want “World Premiers” and that this leads to an issue where a piece is often only played that one time, as after that performance they need the next world premier. He said that for them they have found that many pieces benefit from repeat performance: “Returning to a piece you find that it has become a part of you – comfortable.” One of the other members then chimed in to say that playing a piece many times is “Honest to the piece” and that it matures and you discover more. The Kronos have played over 600 pieces many of which were written for them and I wonder if they are susceptible to this issue. They are always trying to play new material and world premiers and things written just for them that a lot of it seems to go by the wayside. But worse to me is that so much of their material is just slight and seems calculated for popularity. Bollywood pieces? Arranged pop albums? World music? this is all a pretty far cry from Feldman, Crumb, Gorecki, Lutoslawski et al. I’ll always appreciate them for their introduction to so much great music and that really was the point of this post, but they are clearly playing for someone else now. A Spiral Cage is powered by	WordPress 4.6.14 and delivered to you in 0.311 seconds using 24 queries.